Every child deserves a safe and loving family. Your support is needed to help children heal. 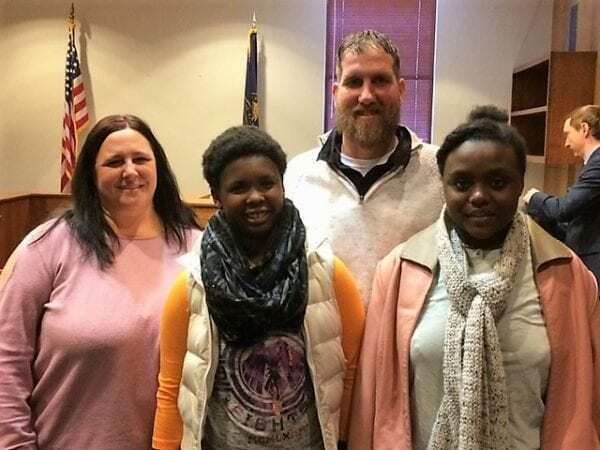 The Horton family standing together at the Douglas County Courthouse for Alizyhana’s (center) adoption finalization on January 17, 2018. Alizyhana’s story shows us just how important a family truly is. Alizyhana experienced unspeakable trauma before entering the foster care system at age seven. She lived in five foster homes, never knowing when she would have a forever family! Imagine what your life would be like with such uncertainty, without knowing where your permanent home would be. Three years ago, when Alizyhana was ten years old, NCHS started looking for her forever family. At that time, she struggled to make friends in school. Alizyhana was in therapy and taking medication to help cope with the abuse she received before entering into foster care. She was acting out against her foster parents, teachers and peers. She had trouble making sense of all the changes in her life. Her therapists didn’t know if she would ever be able to overcome the trauma and have a fulfilling life. 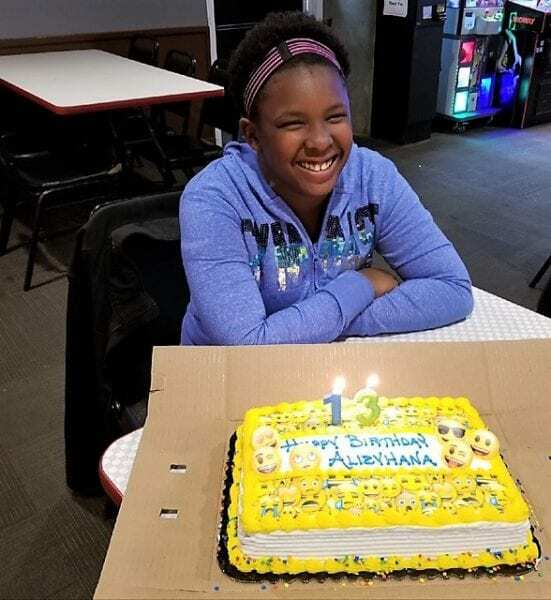 Alizyhana celebrating her 13th birthday with the Horton family (December 2017). It’s amazing how a young girl who experienced trauma, loss and loneliness would think about others first. Last year, Alizyhana faced another challenge. 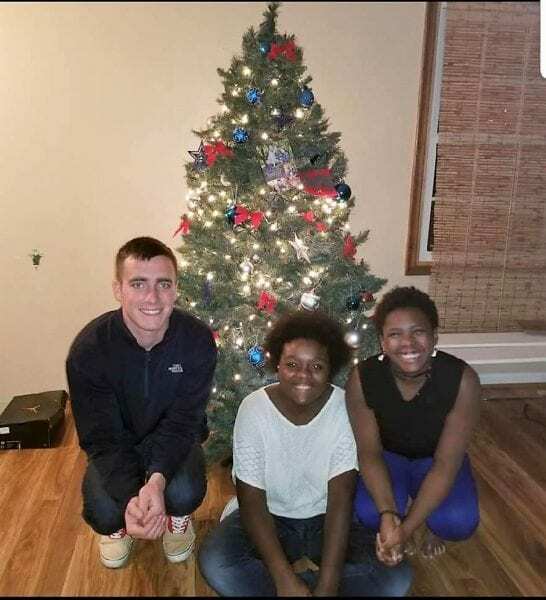 An adoption plan was not working, which restarted our search for another family. Our team noticed that Alizyhana had a good relationship with her best friend’s parents, Liz and Erin Horton, so we discussed adoption with them. They agreed to welcome her into their hearts and home without hesitation. The Hortons had adopted their first daughter, Jenni, from foster care only six months earlier. On January 17th of this year, they officially adopted Alizyhana! Within six months of moving in with the Horton’s, she no longer required special education, psychiatric services, therapy or medication! Her grades improved, she started two honors classes and joined the swim team. Think about that for a moment… Alizyhana is healing because she now has a safe and loving family. Today, Alizyhana is thriving! 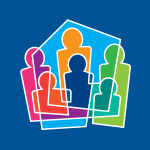 She has a strong support network around her that includes her previous foster parents and mentoring from her NCHS permanency specialist. She is sharing her story with others, so more people support and adopt children from foster care. Your gifts make finding a safe and loving family possible. There are more children waiting for their forever families. You can help them now. Complete this section if you would like to make a donation in honor or in memory of a loved one. If you would like us to send an acknowledgement of your donation, please provide the individual’s name and address. Will be charged to your credit card. Will be billed on the of each month, or next available business day.